[Bellevue, Washington, USA] – When Kuu Sakuragi was a third-grader at Ardmore Elementary, he was one of two students selected by Pacific Northwest Ballet School’s DanceChance program to receive a scholarship for one season’s dance instruction. His parents were ecstatic, but Sakuragi had to be figuratively dragged kicking and screaming to the Francia Russell Center. Sakuragi, now 15, proved a capable student and eventually advanced to Level Eight, the highest in the student division, where advancement is determined by mastery of skills in the school syllabus. 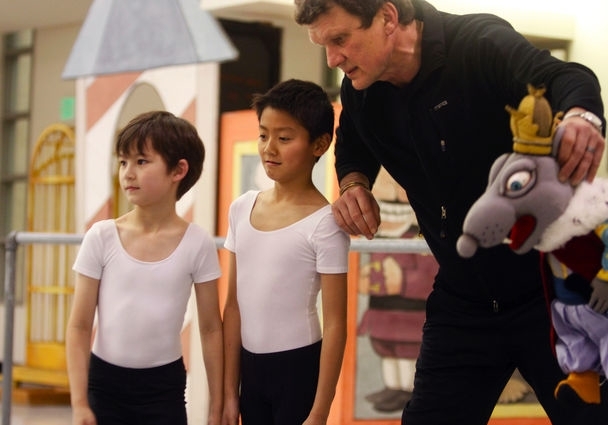 The Interlake student will play the part of “real boy” Pinocchio, the human being the puppet wishes to become, in the upcoming installment of Pacific Northwest Ballet’s Family Matinee series. As a featured performer, he must not only dance masterfully, but do so to express the emotions of his character. It’s a challenge he welcomes, he said. 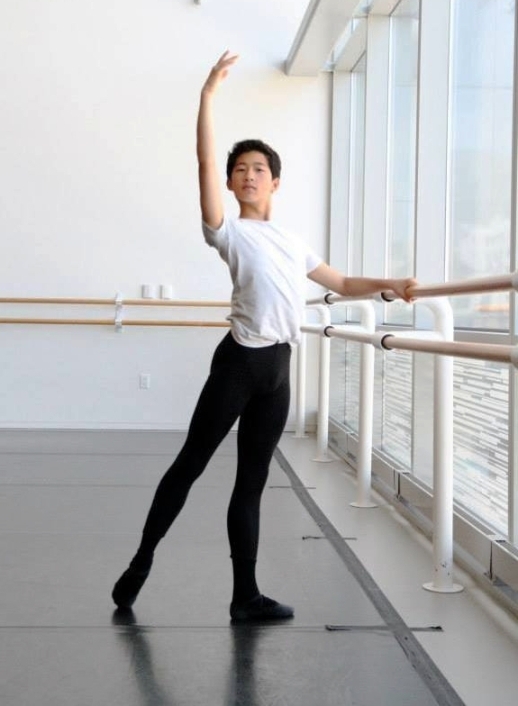 Having developed a love for his chosen art form, Sakuragi hopes to move on to the Pacific Northwest Ballet School’s professional division, where students transitioning to a career in dance are trained in perfecting technique and artistry. “Pinocchio” will run for four performances beginning March 16. Find showtimes and ticket information under the 2013-2014 Season page of www.pnb.org. © 2014 Sound Publishing, Inc.
Pacific Northwest Ballet’s DanceChance program finds young movers in Seattle and Bellevue elementary schools and exposes them to ballet. Some go on to perform in “Nutcracker” as students or, eventually, professionals. Many roads lead to “Nutcracker”; some more unexpected than others. Pacific Northwest Ballet’s annual run of the beloved holiday ballet, designed by Maurice Sendak and choreographed by Kent Stowell, begins Friday and features 217 children from the PNB School. Of those, 33 came from the company’s DanceChance community-outreach program — including two of the three boys playing Clara’s brother, Fritz — and two program graduates appear in the ballet’s adult roles. “Without DanceChance, I don’t think I would have been immersed in this art form,” said Eric Hipolito, a 22-year-old PNB company member who was chosen for DanceChance in 1998 as a third grader at Beacon Hill’s Maple Elementary. He’ll be dancing multiple roles in “Nutcracker” this year — Mouse King, Dervish, Commedia, party-scene father — alongside his 18-year-old brother, Enrico, a DanceChance graduate now in the PNB School’s Professional Division. Darren Huang and Lucas Galvan, two 9-year-olds from Wing Luke and Dearborn Park elementary schools respectively, will share the role of Fritz with Logan Dopps. Begun in 1994 by Francia Russell, DanceChance brings ballet to Seattle and Bellevue public-school students who might not otherwise be exposed to the art form. The program partners with 22 schools (19 in Seattle, three in Bellevue), all with a high percentage of students on free/reduced lunch programs. PNB faculty members come to the schools, give a presentation about ballet, and audition third-graders with a simple class. “They told us to do the splits, then stretching and skipping and stuff,” remembered Lucas, of his audition more than a year ago. Darren, a quiet boy with an impish smile that should suit the role of mischievous Fritz well, remembered being asked to do tendus — the precise pointing of the foot that’s the basis of ballet. Both boys were invited to join the program. “I told my mom that I got into a ballet school, and she got so excited, it was like she was going crazy,” said Lucas. About 5 percent of the children auditioned are offered a place in the DanceChance program, which includes free classes, dancewear, transportation to the PNB School, and tickets to PNB performances. To date, about 1,200 students have been enrolled in the program, which lasts for two years, though some leave earlier. At its conclusion, select students are invited to join the regular PNB School classes, where they may apply for financial assistance as needed. “Nutcracker” is a major event for all PNB students, who must audition annually for the ballet’s 90 children’s roles. (All roles are double-cast; some are triple-cast.) Ali Prevost-Reilly, a DanceChance graduate now in her fifth year of study at PNB sharing the role of Clara with two other students in this year’s production, and numerous other program veterans will appear as Toy Theater children, party guests, infantry and Chinese dancers. For Lucas and Darren, currently in their second year of DanceChance, this was their first opportunity to audition for “Nutcracker” — and they’re excited to be playing a major role in the Act I party scene. Lucas described Fritz as “kind of like a little kid, breaking stuff, like a little brat.” (Asked if this would be difficult for him to act, he quickly shook his head, grinning.) They’ve performed on the big stage at McCaw Hall once before — at a DanceChance recital last spring — but this is a much bigger commitment. Each will dance in about 11 “Nutcracker” performances, in front of large audiences. Are they nervous? No. Lucas said he “needs more of a challenge” than the recital. Darren just smiled. 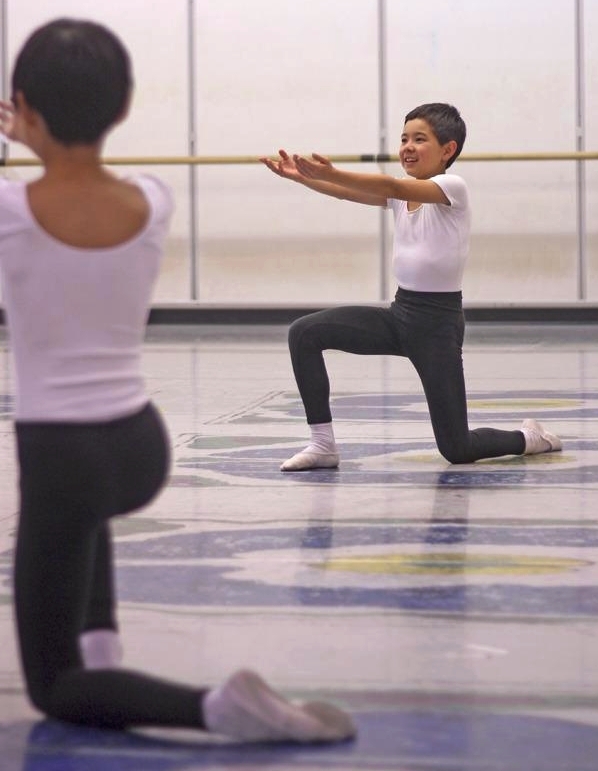 If these grade-school boys are looking for career models, they needn’t look further than the Hipolito brothers, both of whom knew little or nothing of ballet when selected for DanceChance. Enrico, in his first year of the two-year Professional Division, hopes to be invited to join the company one day — “that would be awesome.” Eric, now in his fifth year with the company, looks forward to more touring and perhaps dancing internationally some day. He said it took him a little while to fall in love with dance, and that only when he began performing small roles with the company (in “Nutcracker,” “Don Quixote,” and others) did he realize that it was what he wanted to do. “Seeing all the company members onstage, having a live orchestra — you see why you’re doing it,” he said. [Kent,Wa. USA] This week was full of excitement for William Dougherty. 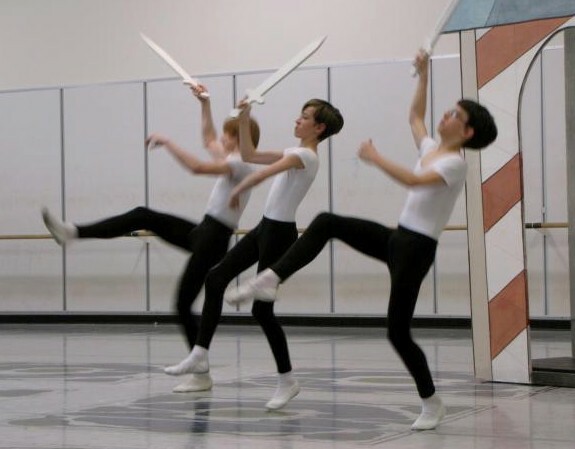 Not only did he celebrate his 11th birthday on Halloween, but for a fourth year he rehearsed dance steps for Pacific Northwest Ballet’s Nutcracker production. The Kent boy is one of 222 students who will participate in PNB’s Founding Artistic Director Kent Stowell and world-famous illustrator Maurice Sendak’s production. He will play a toy theater boy in this year’s performance. Although he’ll only be on stage for about five minutes, his father Alan calls his steps challenging. “I’m really excited for his dancing ability,” said Alan Dougherty. Alan has watched his son progress up to level three dancing, with more challenging moves with each performance. Twice his son has performed one of the party boy roles and once as the little boy who runs around and gets conked on the head by a little girl. This week William and 15 other theater boys and 16 girls rehearsed in the largest PNB dance studio, learning how to use props for their scene. His favorite thing to do is put on the stage make-up that brings out his eyes. “It’s kind of hard because you have to sacrifice going to birthday parties for friends and that sort of thing,” William said. He has been excited after each rehearsal. Practice began the week of Oct. 22 for students. “He’s really excited about it. He’s been bouncing around the steps at home and doing his steps on the sidewalk regardless of who might be around,” said his father. As a student in PNB’s Ballet School, William had to audition for his part in the Nutcracker. The Student Division begins at age 8 with auditions and consists of Levels I to VII. Classes are graded by age, physical strength, development and are promoted by individual progress. To audition for the Nutcracker, candidates must be in PNB’s school. This year several hundred from the school auditioned for parts in the performances, which run Dec. 7 through Dec. 29. The annual production is a local favorite and attracts many patrons. “What amazes me is that he can perform in front of thousands of people,” said Alan Dougherty. For more information on PNB’s Nutcracker production visit, www.pnb.org. © 2012 Sound Publishing, Inc.
An interview with five young cast members of Pacific Northwest Ballet’s “Nutcracker, ” which commences its holiday run on Friday, Nov. 25. Interviewed are Olivia Carpenter, Theo DePina, Carlin Kramer, Kuu Sakuragi and Deepika Wilson. When Hamilton Middle School sixth-grader Owen Keith is feeling sad or has had problems at school, he knows the one thing that can always cheer him up: ballet. “I can get rid of those troubles for an hour and a half and just dance,” said Keith, who dances in the Intermediate Boys level at Pacific Northwest Ballet School. Keith has been doing ballet for more than six years and will be participating in Pacific Northwest Ballet’s “Nutcracker” this year – his fourth time in the production. He said he likes being in Pacific Northwest Ballet’s holiday classic, now in its 27th season, because it’s a chance to get together with friends. He also said he likes the way the props and stage come together to make “Nutcracker” a great show, for example the moving waves in the opening of the second act. Keith will be a member of the cavalry when the show opens Nov. 26 at McCaw Hall. In addition to Keith, the show features North Beach Elementary fifth-grader Frances Kuhr and Loyal Heights Elementary fourth-grader Mia Watson. For more information on Pacific Northwest Ballet’s “Nutcracker,” click here. After five years of karate lessons, Tyler Quinn, 13, is trading his black belt for ballet shoes. Quinn danced his first ballet performance only a year ago, but has already gained attention in the ballet world. Competing against young dancers from across the country, Tyler won a full scholarship to the summer intensive program at the Pacific Northwest Ballet School based in Seattle – one of the top three ballet schools in the country. “For Tyler, I have big plans … if he keeps working like this, great things will happen,” said Erlends Zieminch, director of Ballet Arte in Solana Beach. Tyler takes seven ballet classes a week at Ballet Arte, which consume most of his time outside of school, along with taking a jazz class and team gymnastics at the Magdalena Ecke YMCA. Tyler is preparing to enter the Youth America Grand Prix, an international student ballet scholarship competition held annually in New York City and around the world for dancers ages 9-19. Tyler, a seventh-grader at Encinitas Country Day, has been gearing up for his virtuoso solo as the Bluebird in Ballet Arte’s spring production of “The Sleeping Beauty” on June 12. “He was actually helping his little sister out. She was a little shy on stage, and we thought it would help to have her brother there,” said Tyler’s mother, Jeannie Quinn. But that taste got him started. Tyler enrolled in ballet classes and found out he liked it. Tyler’s favorite part of class is practicing pirouettes, a turning maneuver. “I like to see what I can do and beat my record,” he said. Tyler plans to build his strength this summer during his five weeks of intensive training at Pacific Northwest Ballet School, where he’ll be taking four classes a day from morning to evening each weekday, as well as a morning technique class on Saturdays. Classes include technique, pointe, jazz, character, modern dance, pilates and music, as well as dance history, anatomy, nutrition and conditioning to develop core strength; promote long, lean muscles; and increase a dancer’s range of movement and flexibility. “I want to build my strength, gain experience and learn as much as I can,” Tyler said. His role model is his instructor, Zieminch. “Erlends has been my inspiring hero,” Tyler said. Zieminch’s background includes training at the Riga Choreographic Institute, the same academy that Mikhail Baryshnikov attended. After receiving his Professional Performing Art Diploma, Zieminch toured worldwide with the Latvian National Opera and Ballet Theatre, dancing lead roles. Zieminch was invited to join New York City Ballet, where he danced numerous principal roles. He also served as faculty at the Ballet Internationale Academy. Zieminch directs Ballet Arte with his wife, Sara Viale, a native of Torino, Italy, who graduated from the prestigious Academie de la Danse Princess Grace in Monaco, Monte Carlo. Viale performed for the renowned Italian company Aterballetto, the Zurich Ballet and Ballet Internationale, where she was promoted to principal dancer. Viale served as a ballet instructor at the Clara Noyes Academy for 10 years. “Our goal is to have students like Tyler who are dedicated and want to be professional dancers,” Zieminch said. Despite some teasing at school, Tyler is set on pursuing ballet. “Some people discouraged me, but I’m trying not to let that bother me,” Tyler said. Tyler’s family has been supportive. “We wanted him to find something he loved to do, and this is it,” his mom said. Tyler expects a lot of himself and is setting his sights high. “My goal is to live in New York and perform for the New York City Ballet,” he said.